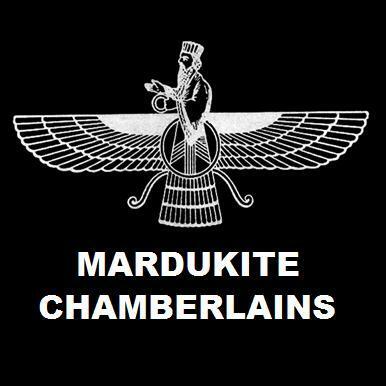 Years before the arrival of the NECRONOMICON ANUNNAKI BIBLE, the 2008 public inception of the modern Mardukite movement greatly derived from knowledge gleaned from previous materials by Joshua Free (including those written as “Merlyn Stone” in the 1990’s). The most fundamental of these – the ARCANUM – based in part on materials from the SORCERER’S HANDBOOK (recently available in its 20th Anniversary edition) and works now composing the DRUID COMPLEAT anthology by Joshua Free, including the DRACONOMICON and the BOOK OF ELVEN-FAERIE, the latter being once only available exclusively to members of the Mardukite “Inner Circle” of Chamberlains. Joshua Free completed the work for BOOK OF ELVEN FAERIE in 2005, forming, in part, a premise to base a magical, mystical, spiritual and historically apt modern revival called: Mardukite. The book is quite enigmatic – the very concepts themselves being enigmatic and a true understanding required an entire re-evaluation of semantics and terminology so conveniently impressed upon the masses. It was then that Joshua Free set aside the idea of developing the Mardukite movement emphasis on the more accessible “Elven-Faerie” and “Druidic” paradigms, choosing instead to focus directly on “Babylon” – the literal heart of Mesopotamia – where it is clear that Anunnaki subjects and mysteries of the Ancient Near East play a more important role within the parameters that is ARCANUM (developed by Joshua Free in 2006 and released underground at the public inception of the modern Mardukite movement in 2008). In the original plan, BOOK OF ELVEN-FAERIE by Joshua Free (in addition to any previously released volumes – SORCERER’S HANDBOOK, the DRACONOMICON and BOOK OF DRUIDRY by Joshua Free) was intended as “Outer Circle” (novitiate) materials, while the ARCANUM volume (introducing the ‘Mesopotamian’ Anunnaki “Mardukite” paradigm proper) would be ‘earned’ by initiates of the “Inner Circle” – what would later become known as the “Mardukite Chamberlains” (the active mystical arm of the “Mardukite Research Organization“). Work of this second inner group of initiates previously educated on the same “Mardukite” ‘baseline’ would emphasize the more distant and esoteric Egypto-Babylonian tradition – such as is reflected in the development what is now known as the ‘Mardukite Core‘ (this time based on the NECRONOMICON ANUNNAKI BIBLE edited by Joshua Free) developed from 2008-2012. As proposed in BOOK OF ELVEN-FAERIE – also found within the DRUID COMPLEAT anthology by Joshua Free – Mesopotamia was only the beginning. As time and geography took its hold onto the ancient source traditions, it… evolved! If it can be said that this ancient stream is indeed our well-spring of civilization – examined very intensely in the NECRONOMICON ANUNNAKI BIBLE – and if we are to try to seek the most complete “systems” that have been brought forth through time and space, there are no others that compare to both the beauty and current and functional revival relevance as the Druids. Druidism is just as misunderstood and just as often misrepresented as the mythos and magick of ancient Sumeria, Babylon and Egypt – and, as it turns out, is directly related via a “dragon lineage” that was seeded by a race that we can identify with as “Elves” or “Faerie” begun in ancient Sumeria and Eurasia and carried forth into the Western World by distinct tribes of Europe, evident all along the Danube River, and most famously surviving in the Celtic and British Isles. What makes this lore and legacy “occult” or “esoteric” is the fact that it remains hidden from the public mainstream, though hidden in plain sight – yet ever in the shadows. It is this process of bringing that which is hidden into the “light” that mystics have resulted in sometimes calling “enlightenment” (and perhaps too literally so). Humans would seem to have lost a feeling or a memory that perhaps was at one time “second nature” or “innate,” linking their blood to the Earth Ways. Or, perhaps humans have not simply forgotten but chosen, albeit subconsciously conditioned to choose by society, to ignore this inner calling, to deny it to the point where it is no longer heard and to think about it is to be “insane.” …but the books of wisdom from the Ancient Mystery School have survived with us today and may be opened for all – if one but makes the decision to do so. When you seek – you shall find. The library of tomes made available by the “Mardukite Truth Seeker Press” will be there for you when you are ready!